We’re giving away squatty potties! 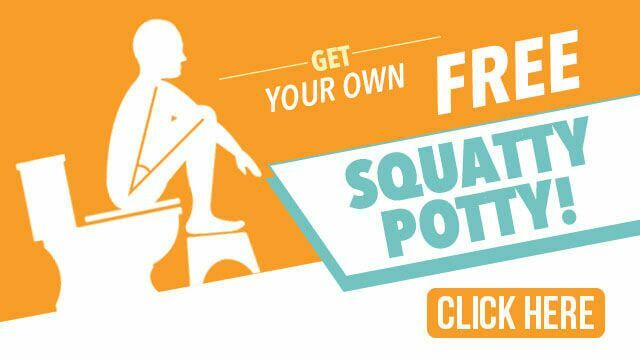 Listen below to find out how you can win your very own squatty potty for the perfect posture for pooping! This week we have a special guest. The Alternative Daily’s #1 fan, Matt Dishner is sitting in for Megan. Jake & Matt discuss their very first cigarette smoking experiences and how they were able to stop. Every person deals with motivation in their workout differently. Matt shares the exact motivation that worked for him today on a 4-mile run in hot & humid south Florida weather. Matt & Jake share their best secrets for parenting and how they would do things differently than their own parents. Natural Health is extremely important for our pets. Jake tells us what he does with Lucy and his experience with a natural pet doctor. One reader wanted to know how the boys handled healthy alcohol drinking, and ways to avoid or weaken a hangover. Be sure to listen as they give exact details on what worked for them, and what didn’t. Next articleWant to Burn More Calories on Your Walk? Vary Your Walking Speed! Hey Buddy!, I found this information for you: "Podcast Episode #17: Smoking, Pooping, Parenting, Squatty Potties and Drinking Alcohol". Here is the website link: https://www.thealternativedaily.com/podcast-episode-17-smoking-pooping-parenting-squatty-potties-and-drinking-alcohol/. Thank you.